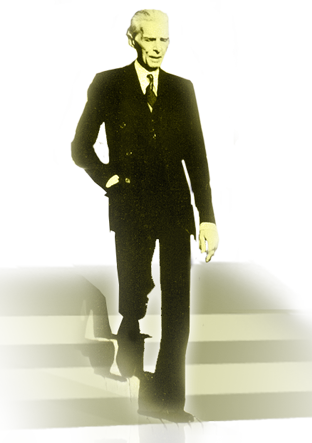 The Jinnah Society was established on 23rd April 1997 at Karachi and was registered under the Societies Registration Act, 1860. The Jinnah Society completed 20 years of existence in Pakistan on 31st December 2017. 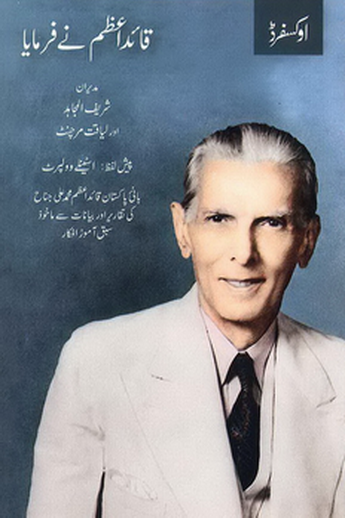 Extension of support and assistance in the development and management of projects, institutions and trusts affiliated to and/or dedicated to the memory of Quaid-e-Azam Mohammed Ali Jinnah with a view to keeping alive his name and projecting his achievements and image both within and outside Pakistan. To propagate the ideals, principles and vision of Quaid-e-Azam as a nation building exercise. Support and encouragement in the development of leadership in the role model of Quaid-e-Azam Mohammad Ali Jinnah. The Jinnah Society has up to date brought out the following publications. No funds are requested in support of this institution as it is self-sufficient. However, financial support for specific projects would be appreciated. The Jinnah Society aspires to achieve ‘Jinnah’s Pakistan’ by promoting the development of leadership at all levels in the role model of Jinnah and by supporting development of democratic institutions. The Jinnah Society has been actively involved in a proposal made to the Government of Pakistan/Government of Sindh for the De-nationalisation of Khatoon-e-Pakistan Girls School, Karachi which has a strength of approximately 2500 students. Members of The Jinnah Society are included in the Board of Governors, constituted by Notifications issued by the Government of Sindh (Education Department) and it is hoped that the School will very shortly be De-nationalised and handed over to the original owners (i.e.) “Khatoon-e-Pakistan Education and Welfare Board”, a voluntary welfare agency established by late Ms. Fatima Jinnah. Members of The Jinnah Society also serve on the Board of this institution and the De-nationalisation will be in favour of Khatoon-e-Pakistan Education and Welfare Board in association with The Jinnah Society and Jinnah Foundation. Thus the members of the Jinnah Society will be playing a very dominant and active role upon De-nationalisation of the School. The Society has from time to time extended financial assistance to Khatoon-e-Pakistan Girls School for renovation of class-rooms, construction and equipment of a Physics and Chemistry Laboratory. The Jinnah Society has submitted a proposal to the Government of Pakistan, Ministry of Culture & Tourism for setting up a Governing Body to manage, administer and control the Quaid-e-Azam House Museum (Flag Staff House), Karachi in which the Society has offered to establish a Public Library and an Audio Visual Centre where films on the Pakistan movement and struggle for independence together with a multi-media presentation on the founder of Pakistan will be shown to all visitors. This proposal has not yet been accepted in its entirety but negotiations are going on with the Government of Pakistan which will hopefully lead to a successful conclusion and implementation of this project. While the ownership of Quaid-e-Azam House Museum (Flag Staff House) will continue to remain vested in the Government of Pakistan as it was sold by the Administrators of the Estate of Quaid-e-Azam to the Federal Government in 1984, the premises will hopefully become the focal point of activities of The Jinnah Society as there is tremendous scope for development of a number of facilities at this institution in addition to a Public Library and Audio Visual Centre. The Jinnah Society co-sponsored and extended financial and moral support to this highly commendable project at Karachi’s largest public hospital. This project will ultimately be taken over by an independent NGO for management and control and will be funded through an Endowment Trust which will be set up after the project is completed and made operational. The Society recently gave financial assistance of Rs.1 million to this EOT project and will work actively with the NGO when it is established. This project was initiated by Dr. Hassan Aziz, who is a Professor Emeritus, former Director General of JPMC and Head of the Department of Neurology. Dr. Hassan Aziz is a member of the Jinnah Society and has been a Trustee of Jinnah Foundation (Memorial) Trust. The Society has also granted financial assistance to the victims of famine, drought and floods in Pakistan. The book "Quaid-i-Azam was launched on September 22, 2012 at Karachi.